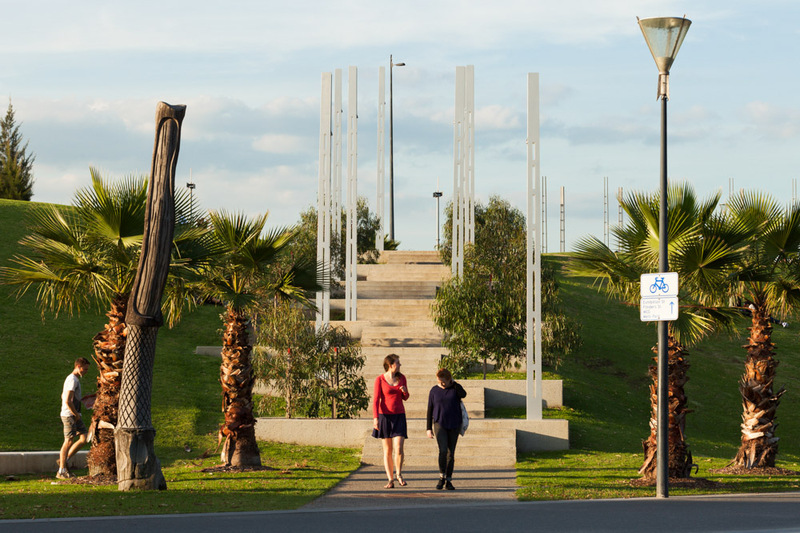 Urban Initiatives was involved in the management of this public art design competition and in the preparation of conceptual landscape sketches to complement each artist’s submitted art design proposal. 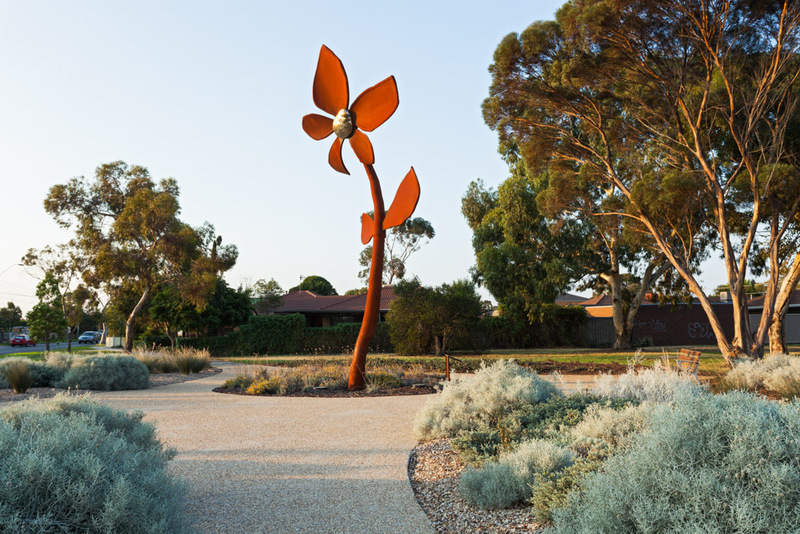 Following the selection of the winning public art concept, we worked directly with the artist to finalise the marriage of the artwork concept with the landscape design, and to document the landscape works contract for tendering and construction purposes. 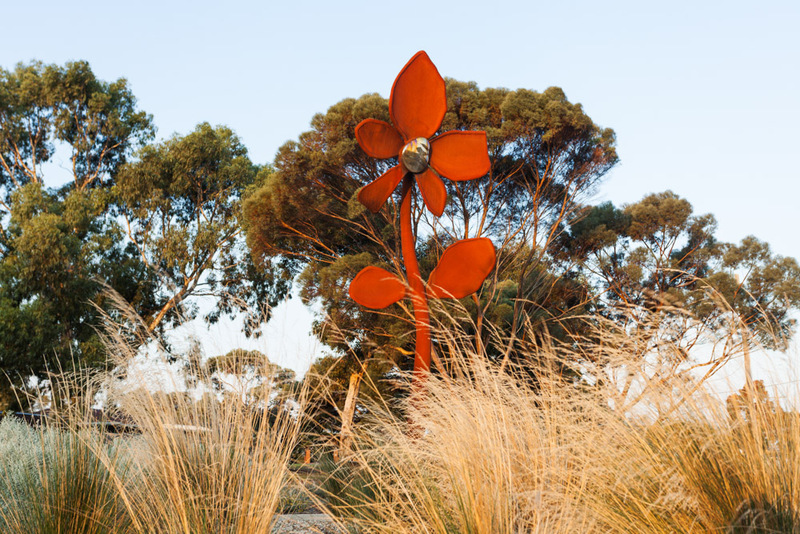 The winner of the public art competition was artist Jonathan Leahey, with his ‘GROW’ project – an 8m high sculptural flower. 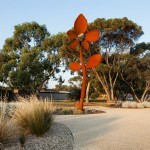 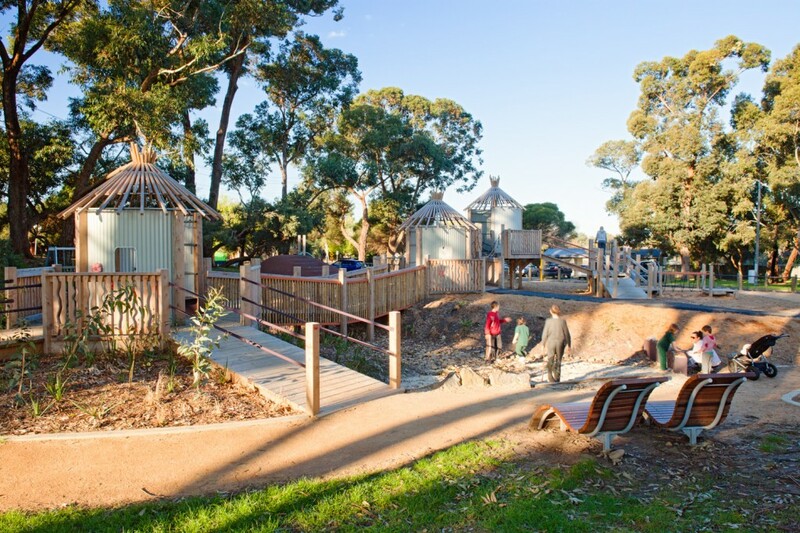 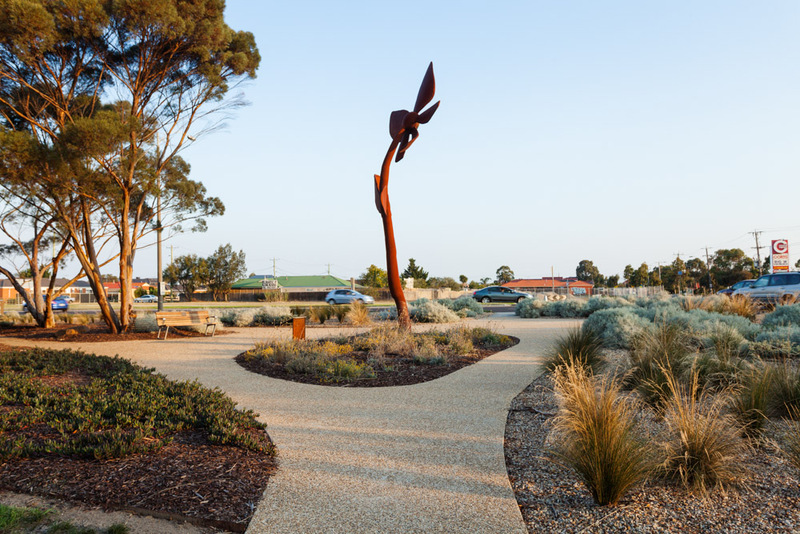 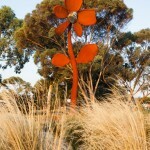 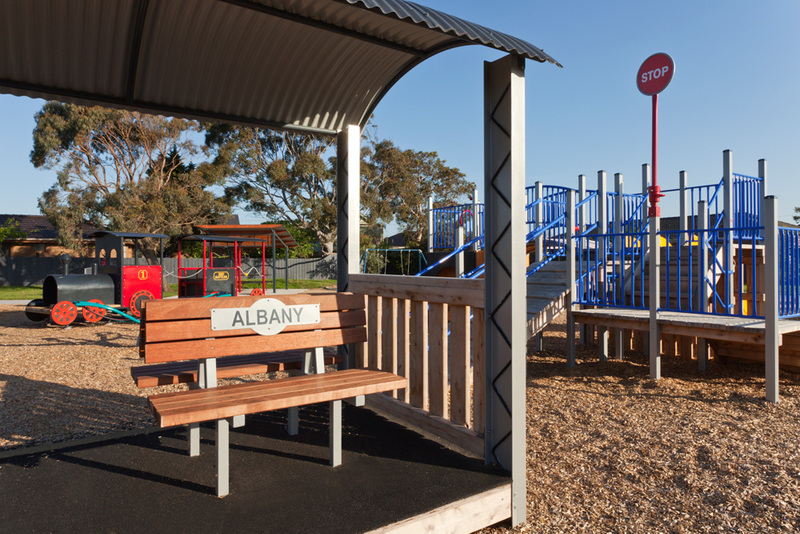 The landscape solution sited the artwork in a central location and offered a visually strong, colourful and texturally rich landscape, while adhering to all VicRoads’ and Council’s sightline and maintenance safety concerns. 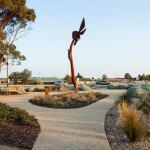 The landscape form was driven by a combination of pedestrian desire lines and identification of the shadow effect of the sculpture on the ground plane, using both the summer and winter Solstice conditions. 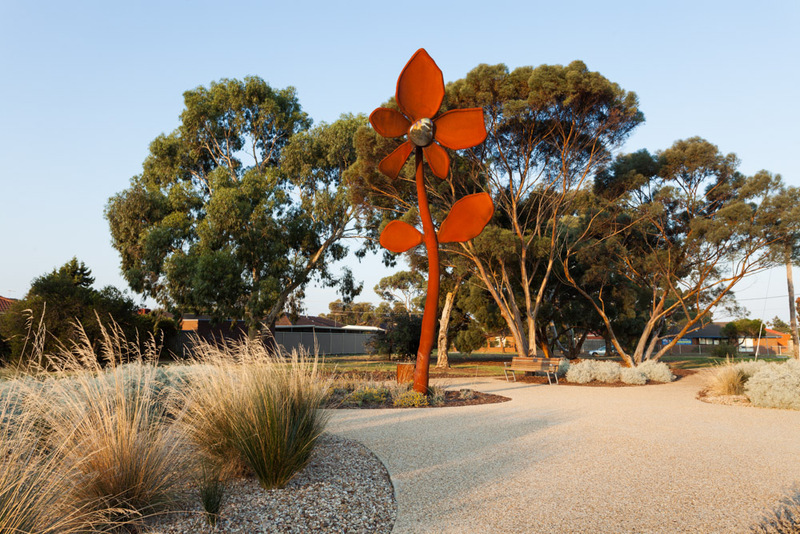 The soft landscape palette was selected to feature varied seasonal flowering interest and included a backdrop of winter flowering Acacia’s and a summer planting bed of giant sunflowers. 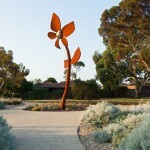 The sunflowers are intended to offer summer delight and inspiration to the community. 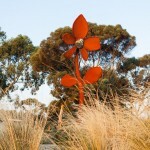 GROW – ‘a celebration of the diverse population of the neighborhood, the flower being an emblem of friendship and respect, recognisable to all ages and cultures. 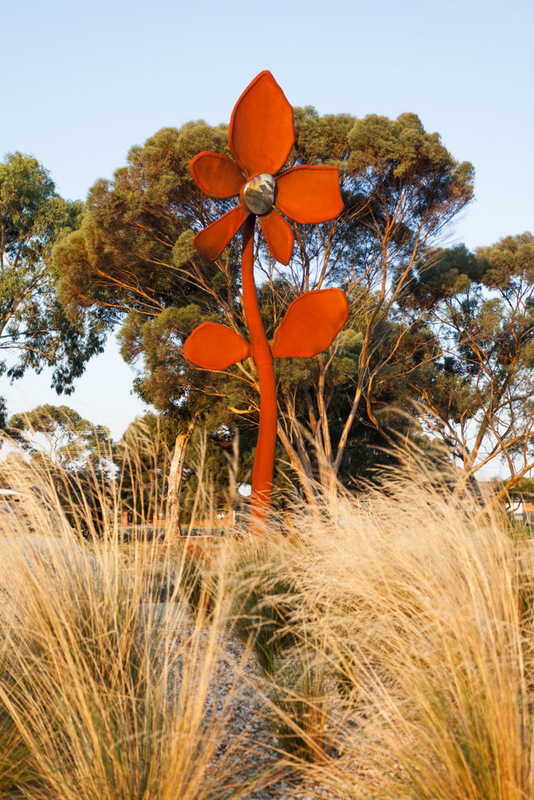 Flowers create feelings of joy and well-being and this single, imposing flower, like Jack’s bean-stork leading to the sky, will become a focal point of optimism for the future as well as an expression of a commitment to sustainability and the environment’.